Are you joking? The topic is specific for inner senshi - Moon, Mercury, Mars, Jupiter and Venus. 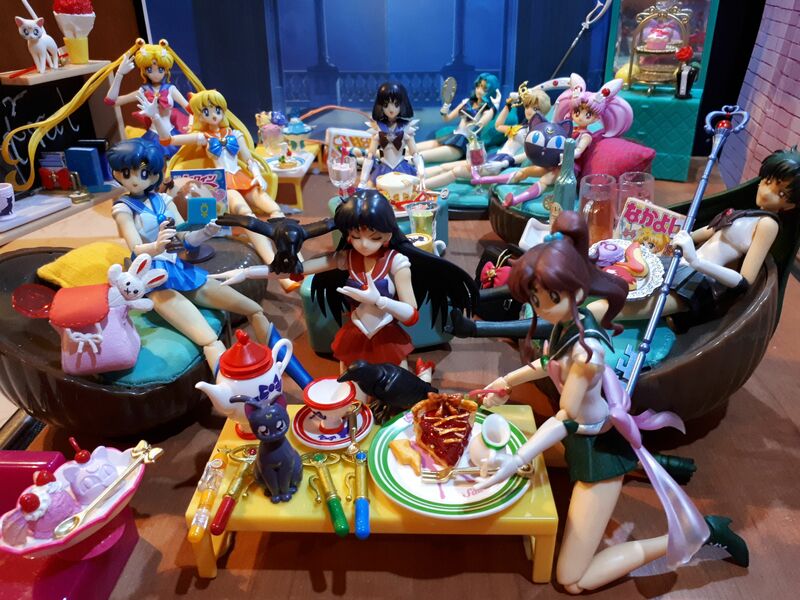 I'm not entierly sure if Moon i even considered inner senshi. If it was general for all the senshi - I would have chosen Neptune - she is almost always in Uranus shadow and can't stand as a character on her own. Yeah I read the topic title wrong, my bad, don't have a panic attack. I didn't, I simply thought you were joking because many people don't really support the inner/ outer term. Nah I like all the Inners I guess if I had to get rid of one Mercury would have to go. It's a tie between Moon and Jupiter. They don't do anything for me. I am biased but I don't like Usagi as well - my reasoning is simple - Minako was supposed to be the main character... And as weakly writen as she is in the 90s she is my bae. It's a pretty common thing to not like the main character lol. I feel like for a long time it was really popular to straight up hate Usagi. I never really understood that myself. Makoto, though I don't dislike her, she's for me the least interesting inner senshi, I don't even remember her character focused episodes compared to the others apart of her introduction episode in season 1. I love all of the senshi and just like family you really shouldn't choose favourites but if I had to lose one of the inner senshi the one I am least emotionally attached to is Mako-chan for precisely the reasons stated by Usagi29. PGSM does a much better job fleshing out her character and exploring Mako's feelings and I cannot recommend that show enough. However the 90s anime just doesn't do her justice or give her enough love. She ends up being a character who is easy to describe (likes gardening/flowers, big & strong, great at cooking, good at housework [possibly by necessity of living alone], short tempered when people judge her) but ultimately plays minor a role in the plot and doesn't get enough feature episodes. I still think she is awesome nonetheless but every time I hear the cliche "He reminds me of the [SOMEONE] who [HURT HER HEART IN SOME WAY]" I cannot help but think that Mako had a whole lot more to say but never go the chance. In the 90s anime, I would say Sailor Moon. As Usagi she has a lot of redeeming qualities, but as a soldier she is often used as comic relief during battles and all she does is ducking and stumbling while the others do the dirty work weakening the enemy, and then she takes all the credit using the finishing move. I don't have a least favorite Inner Senshi since all of the Inners are amazing in my opinion, but I do have two least favorite Outer Senshis though. My least favorite Outer Senshis are Sailor Uranus and Sailor Neptune because I don't like how they are as people especially in the 90s anime when they were being mean towards Usagi and the Inner Sailor Senshi. Well, the topic has been bumped now, and now I see something I want to address. There are two reasons why people hated Usagi as a trend. One is that the main lead of a show is not only subject to the most criticism but is also by design, the most developed character. Consequently, the character is a lightning rod. Her flaws are inescapable and given the nature of the genre, due to being the main character she has enough plot armor that spares her any of the consequences of those flaws. 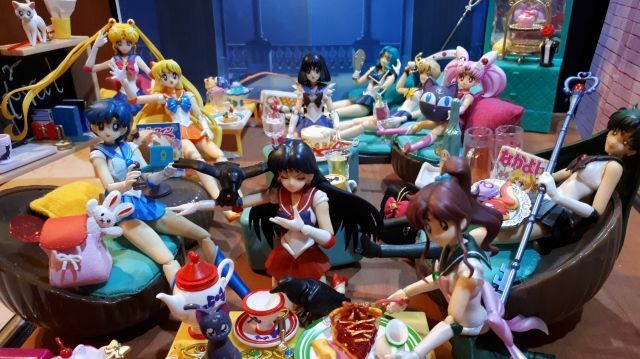 This is not unique to any version of the Sailor Moon franchise; every story with a fan base goes through this. The other is that Usagi is a flawed character who in many other series, would be the goofy sidekick, love interest, or Bliss Ninny supporting character. In this show she's not only the main character, but the leader of the group. Imagine if you had to follow Capt. Wrongway Peachfuzz. You'd be ticked, too. I get it to some degree but I just felt like people who disliked her generally took the series too seriously and maybe didn't understand what her role truly was within the group.